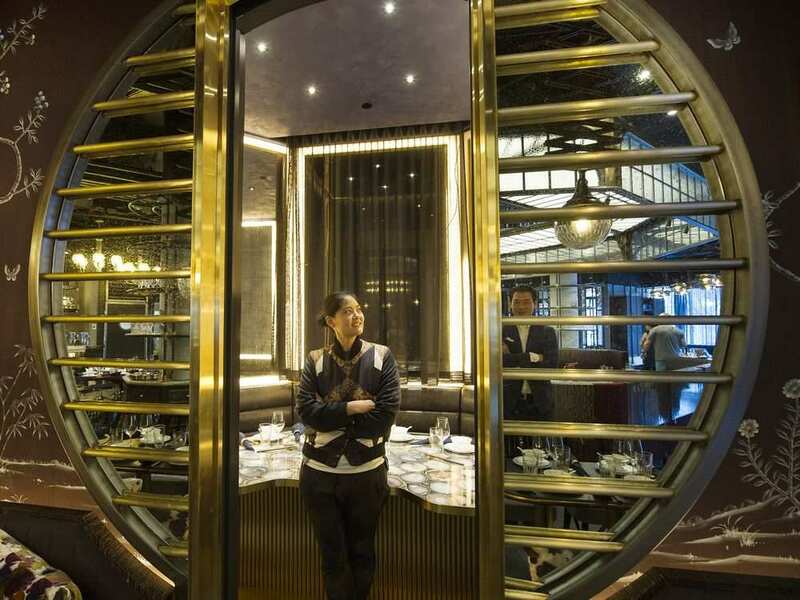 In the days leading up to the opening of Mott 32, a posh Chinese restaurant in Vancouver’s new Trump International Hotel and Tower, one of the principals is all about quality control. Xuan Cheng Mu will have tasted 500 dishes in about 10 days — everything on the menu several times over — yet he’s trim and fashionable. “I have a high metabolism and I work hard,” says Mu, a partner in parent company, Maximal Concepts. Asked about the “Trump effect”, Mu doesn’t think there will be one. “People will be excited that we are here and they’ll like the atmosphere. Everyone’s very excited. They’ve been to Hong Kong, tried the one there and look forward to having a piece of Hong Kong in Vancouver.” He does not know if President Donald Trump will be visiting. The room is a stunner by designer Joyce Wang (who won an international award for Mott 32 in Hong Kong), with a blend of exoticism, history and edgy luxury. (The Opium Room, one of four private dining areas, evokes an opium den with a bed for seating and lighting fixtures crafted from antique opium pipes.) The main area is divided into unique sections with marble, wood, embroidery, glass, leather, murals and even bird cages. 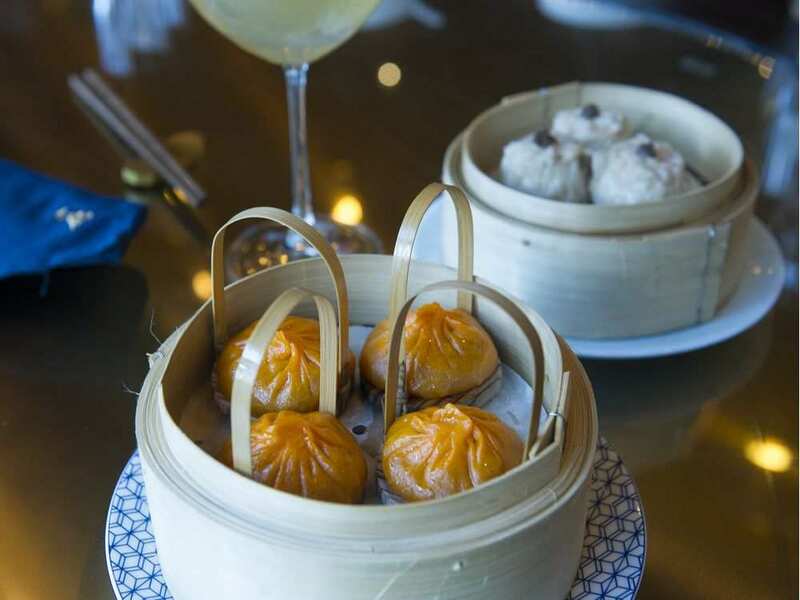 The food is traditional but tweaked Cantonese, with inclusions from other regions in China. The executive chef, Man-sing Lee, based in Hong Kong, is from a two-Michelin star restaurant at the Mandarin Oriental and is currently training a local chef from the Dynasty restaurant. Although the food is modern, the owners opted for traditional family-style service. 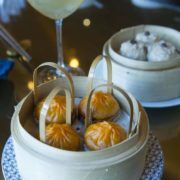 The standout dishes I tried on a tour and tasting was the Iberian pork and the pork sui mai, which like many of the dishes is given a little more love than the traditional version. Here, a quail egg bursts open as you bite into it, releasing its custardy yolk, a challenge for the cooks to get right. The food may face competition from some of Metro Vancouver’s excellent Chinese restaurants, but Mott 32 will leave them in the dust when it comes to looks, ambience and service. Maximal Concepts was approached by the Trump Hotel developer, Holborn Group president Joo Kim Tiah. 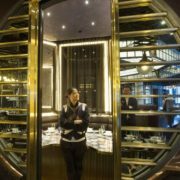 “Mott 32 is his favourite restaurant in Hong Kong and he had to have this restaurant in his building. He tried the food again and again and approached us. He knows what he wants and we’re very honoured,” says Mu.